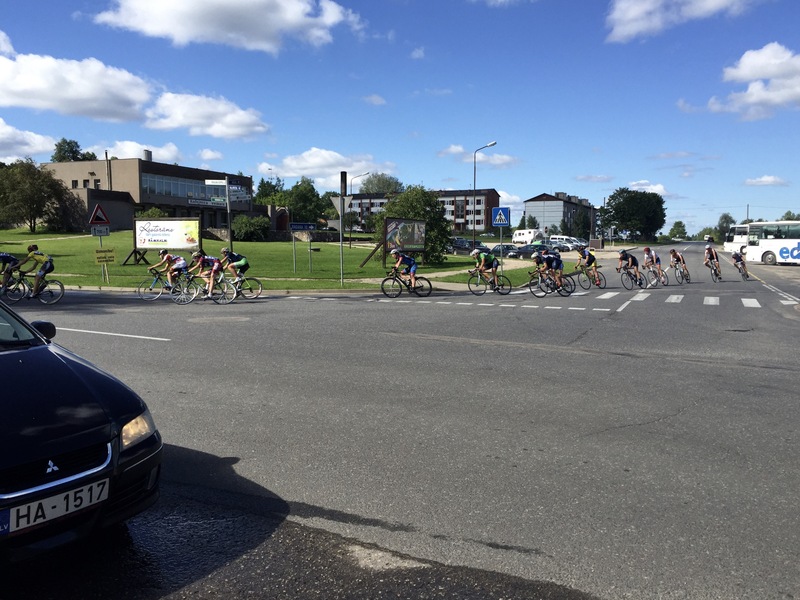 Our fourth biking day was the shortest distance (about 13 miles, 21 km) and the best ride so far; good weather, too. 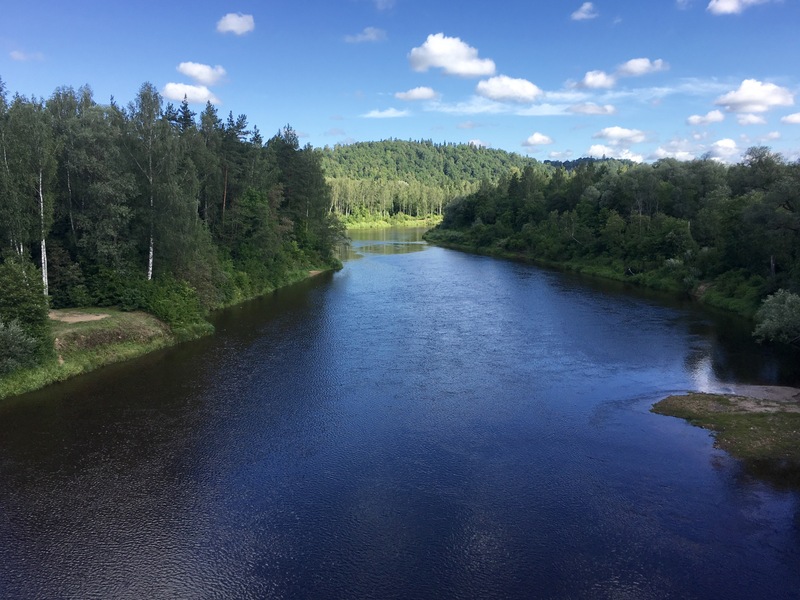 Most of the day was spent in Latvia’s Gauja National Park, the country’s largest, which takes its name from the Gauja River that flows through it. 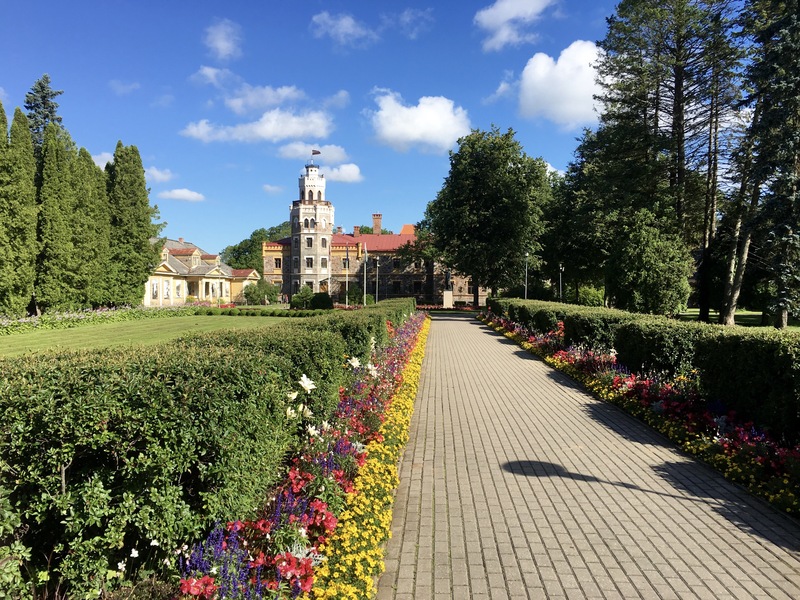 After cycling through the town of Sigulda, we stopped at yet another manor house and its nearby castle. Like the last one we saw, this manor house was built in the 1870s. 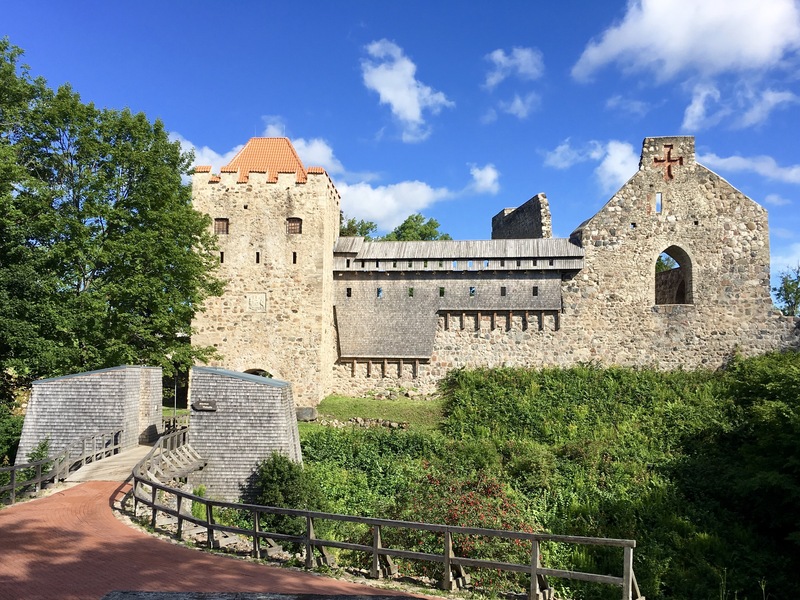 And, like the medieval castle we walked through the day before, this one was also constructed by German crusaders in the early 1200s. 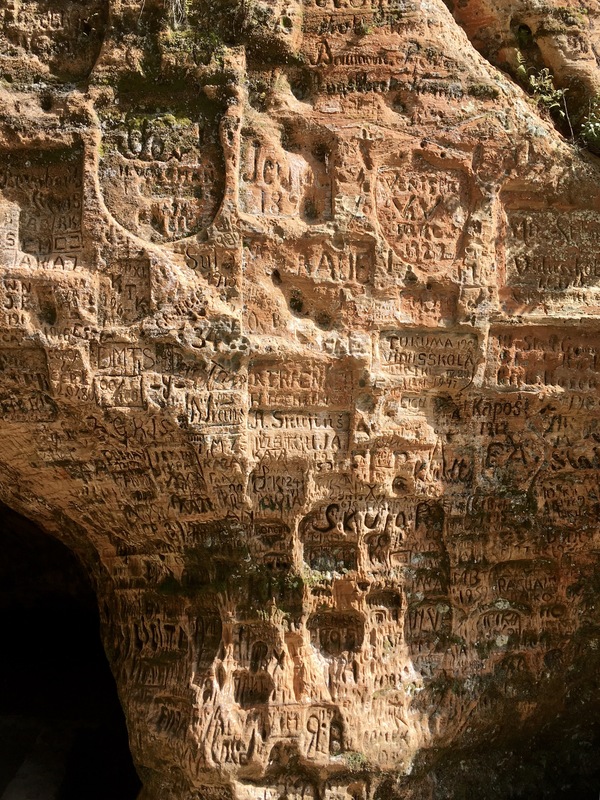 …to get to this place, Gutman’s Cave (Gūtmaņa ala). 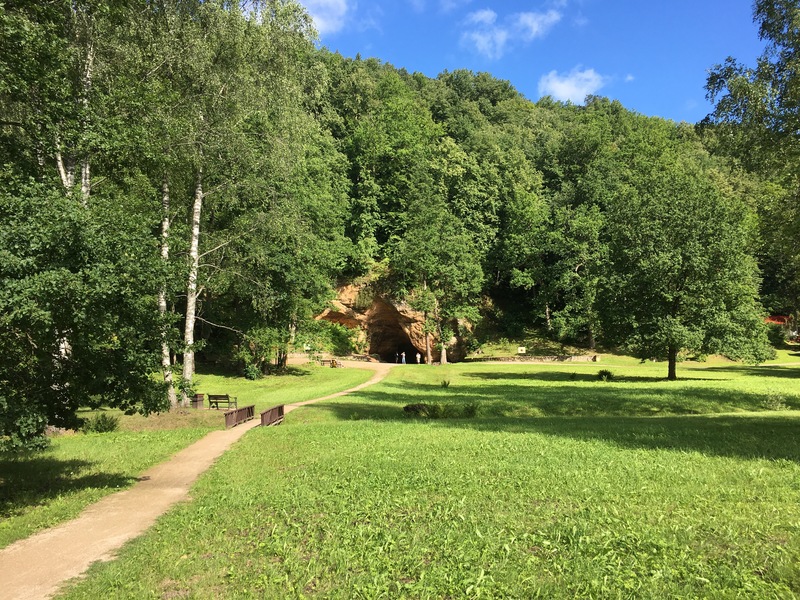 Gutman’s Cave is supposedly Latvia’s oldest “tourist attraction.” Although it is said to be the Baltic countries’ widest and highest cave at 36 feet high and 30 feet wide, it’s not very deep. 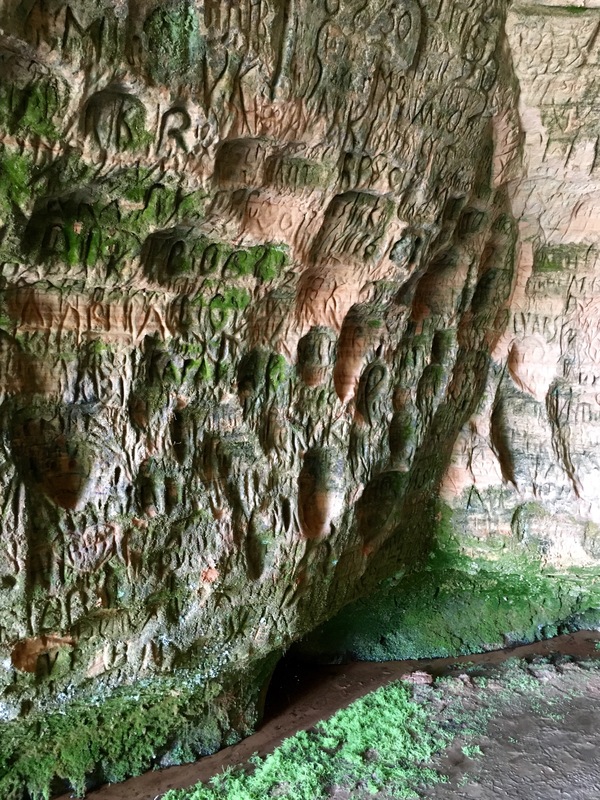 The cave is the result of the erosion of the sandstone bank of the Gauja River bed and is covered with graffiti going back to the 1600s. There’s a spring in there somewhere that continues the erosion forming the cave. 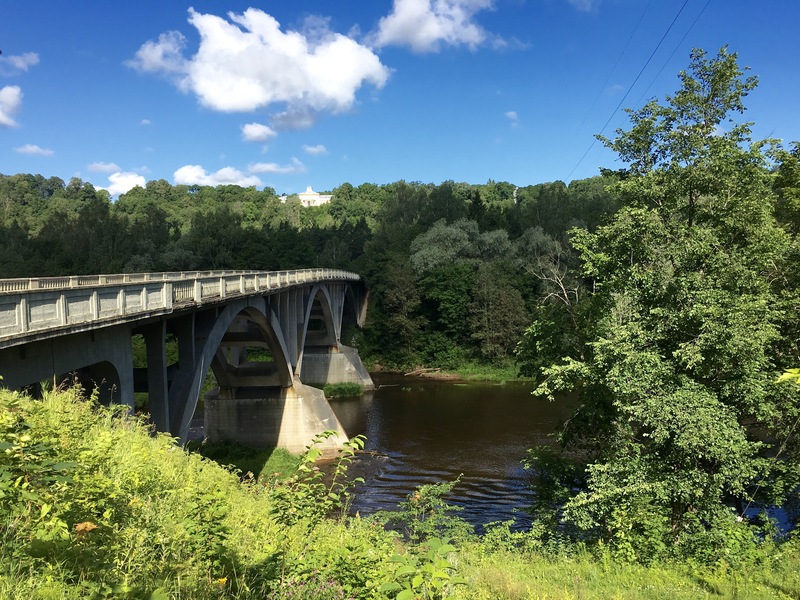 Gutman’s Cave is at the bottom of the Gauja River Valley at this location, so from here we started up the longest and steepest incline of the trip – just as a cycling race was making its way down! Look out below! 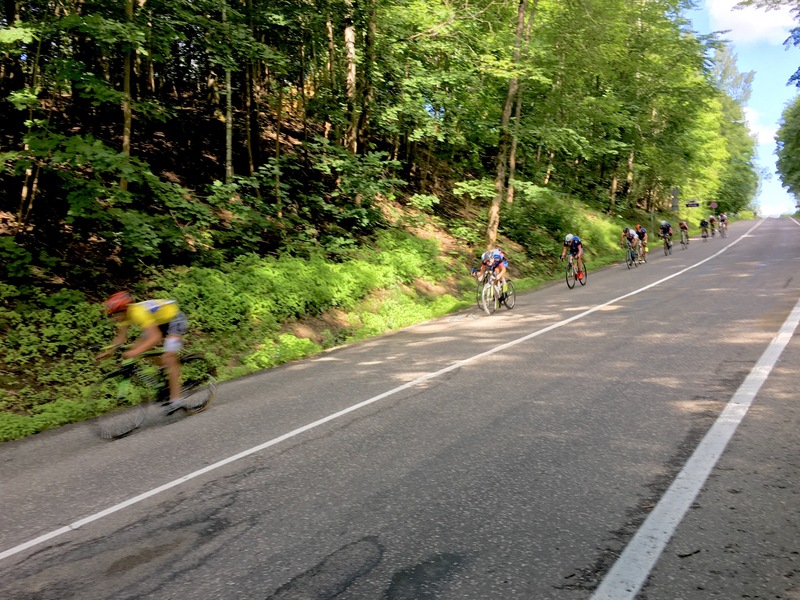 At the top of this hill 15 minutes later, the cyclists were still coming. 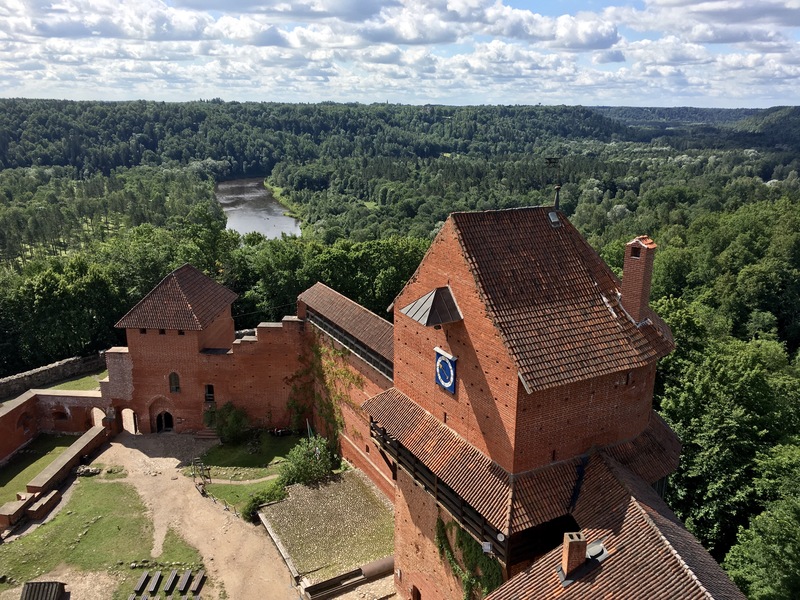 …in order to take in the view of the Gauja River below. 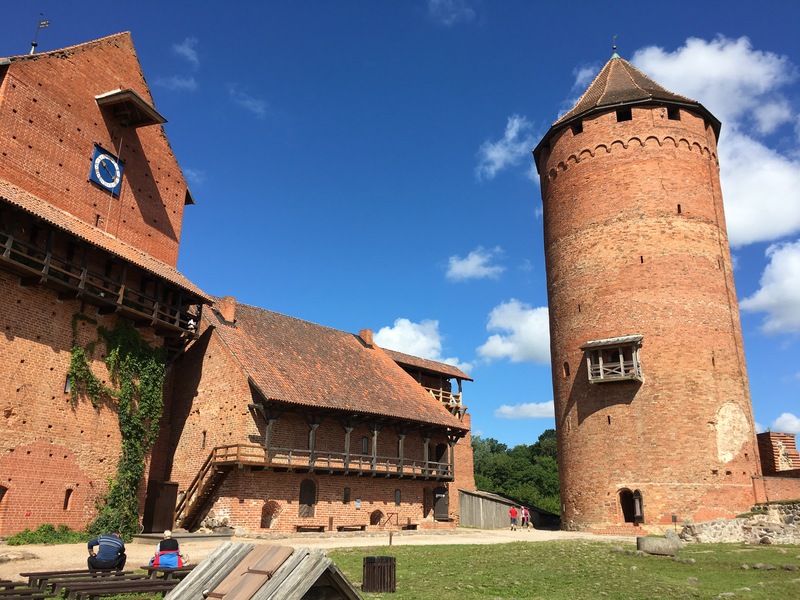 That part of the castle with the clock on it – now mostly a reconstruction – was added in the 1400s for additional defense from cannon attack from the west, following the invention of gunpowder. 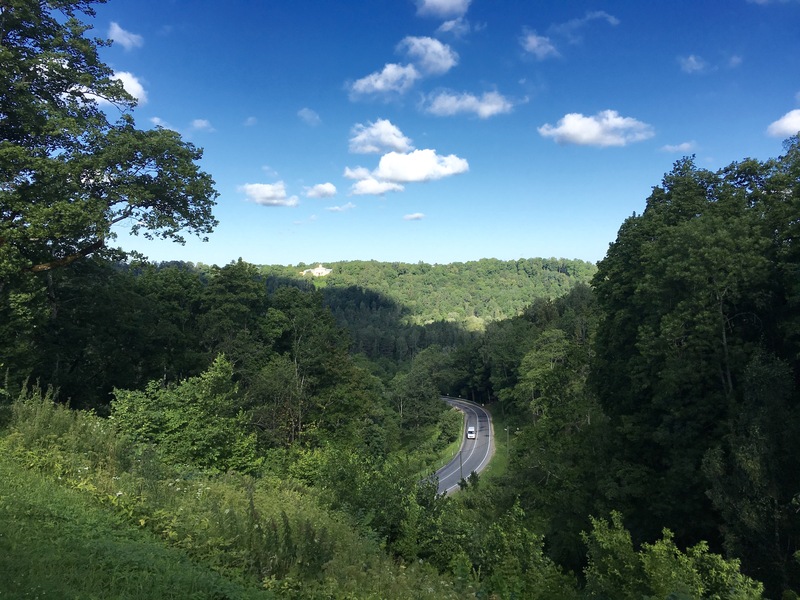 The castle certainly dominated the valley. 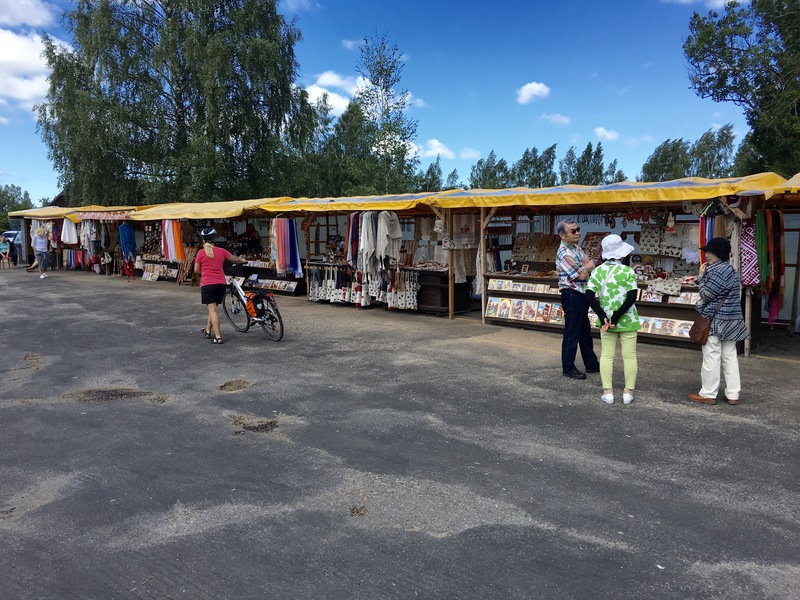 …before pedaling the final 10 km to Ragana where we had lunch and met the bus for the ride to Riga, the capital of Latvia, where we were spending two nights with, in our case, a day off the bicycles.